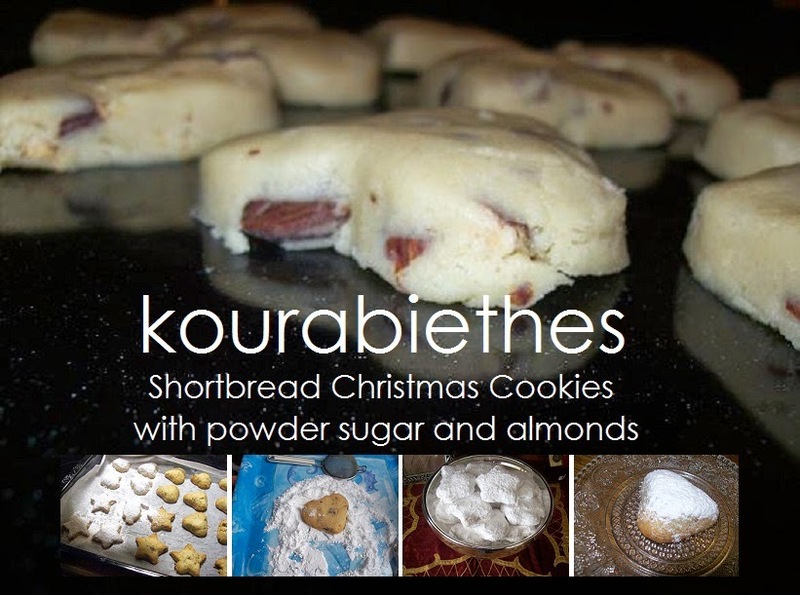 Kourabiethes: Delicious very rich and tasty traditional buttery cookies that are made in Greece for hundred of years by all mothers , grand mothers and the house ladies for Christmas, weddings and other occasions and melt in the mouth good. 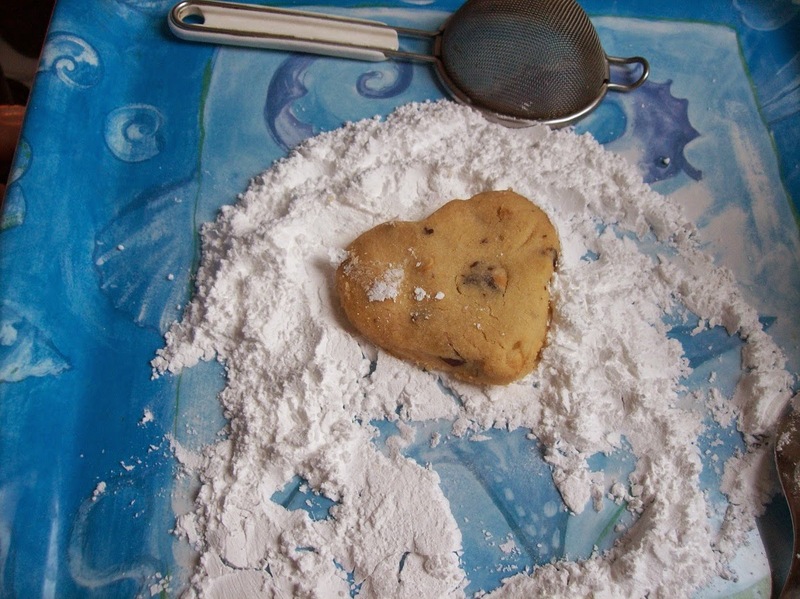 A cookie for the soul! 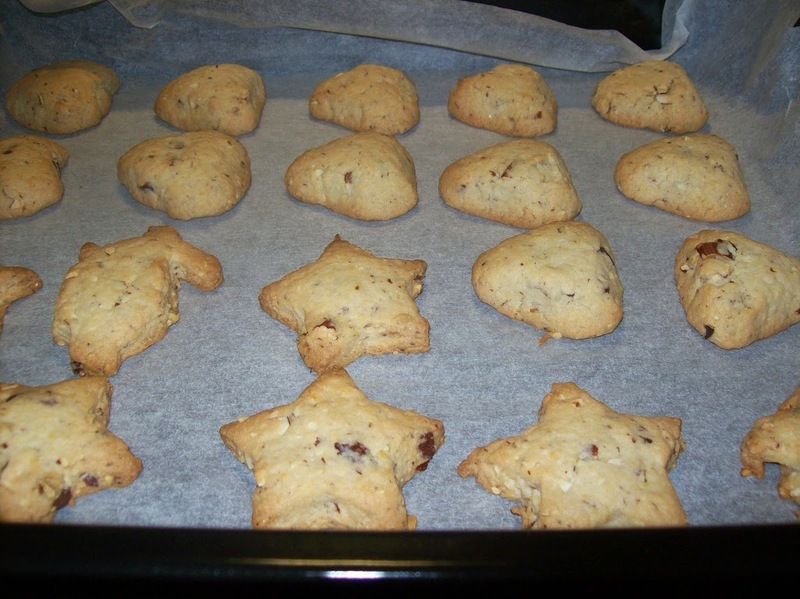 A kind of shortbread (texture very rich) with the addition of brandy and almonds. 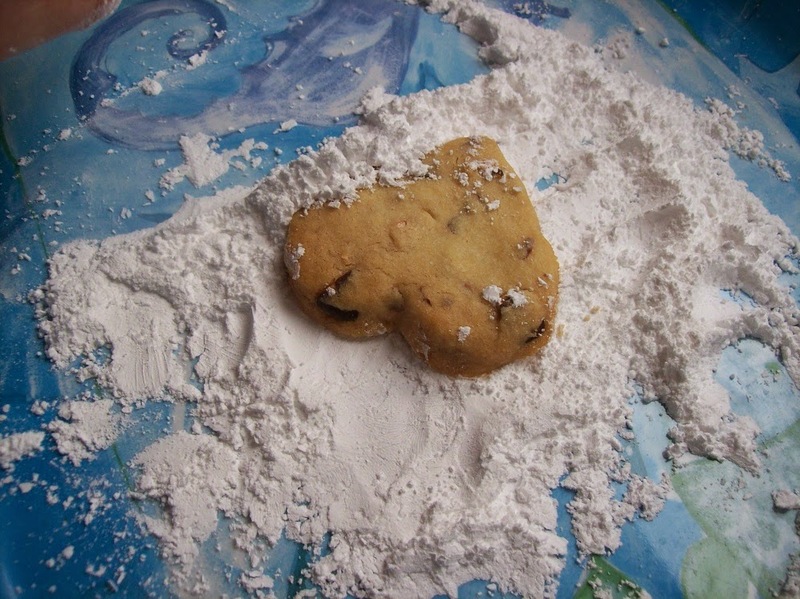 This sugar cookie is a butter and almond cookie, filled with crunchy pieces of almond, coated with sugar. It is popular to all ages, young and old alike. 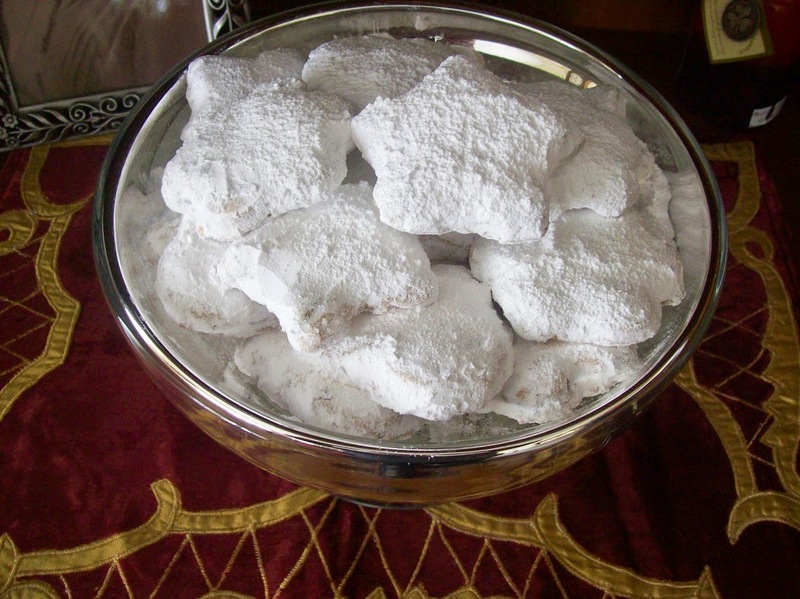 Leave them until cold and then roll them in plenty of soft icing sugar. Need a lot of powder (icing) sugar packed around them. 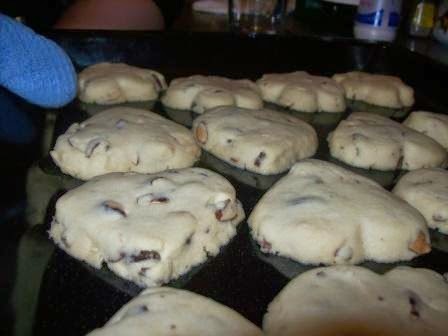 Recipe makes about 50 cookies! 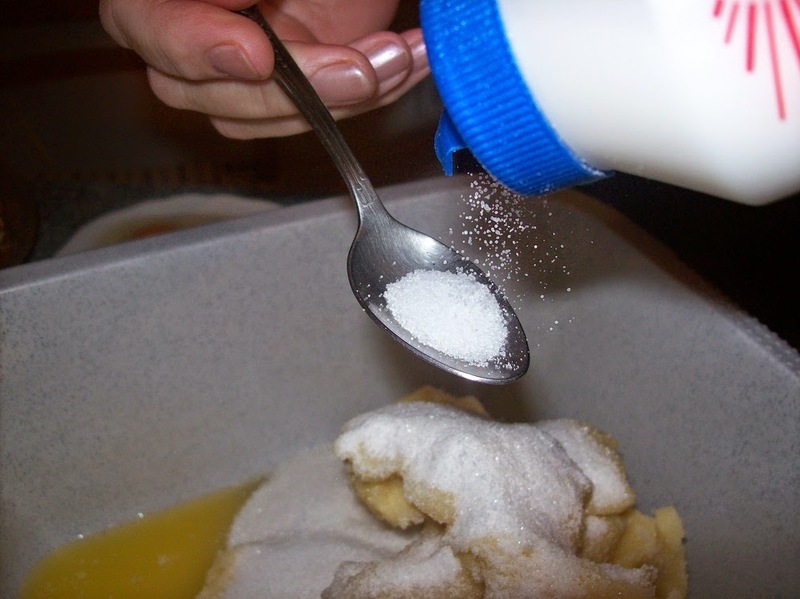 If you want to make a smaller amount, halve the ingredients. Preheat oven to 340 degrees / 170°C. 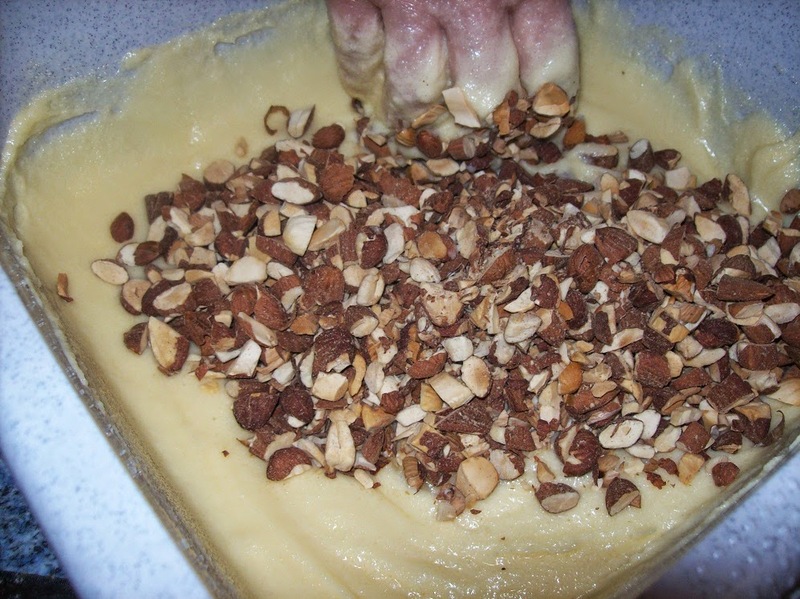 Chop the almonds coarsely in halves or smaller pieces that you will taste and crunch. Roast the almonds, with care stir them in the frying pan until they just start to take colour, then remove them from the heat and place on a plate until needed. Be careful not to be burned as they will give a burnt flavour. 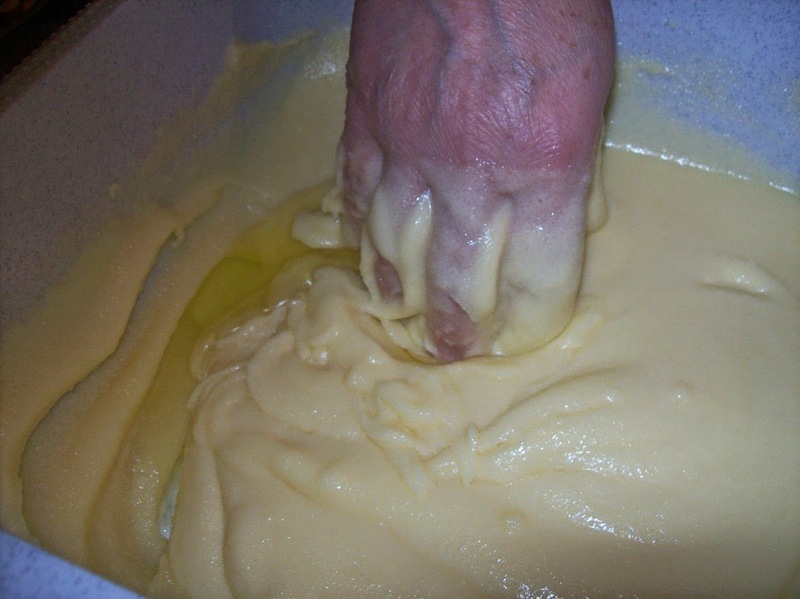 Warm butter and mix with 1 cup sugar until very light and fluffy. 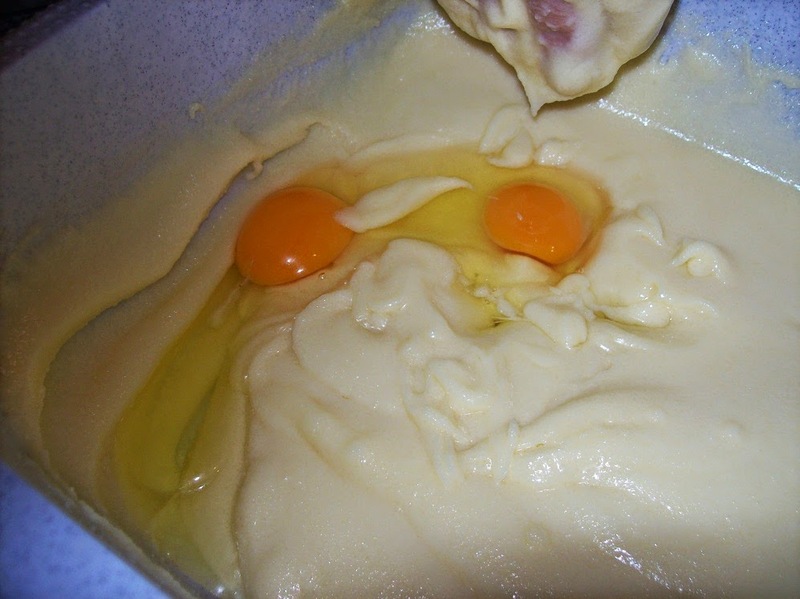 Stir the 2 egg yolks and brandy. 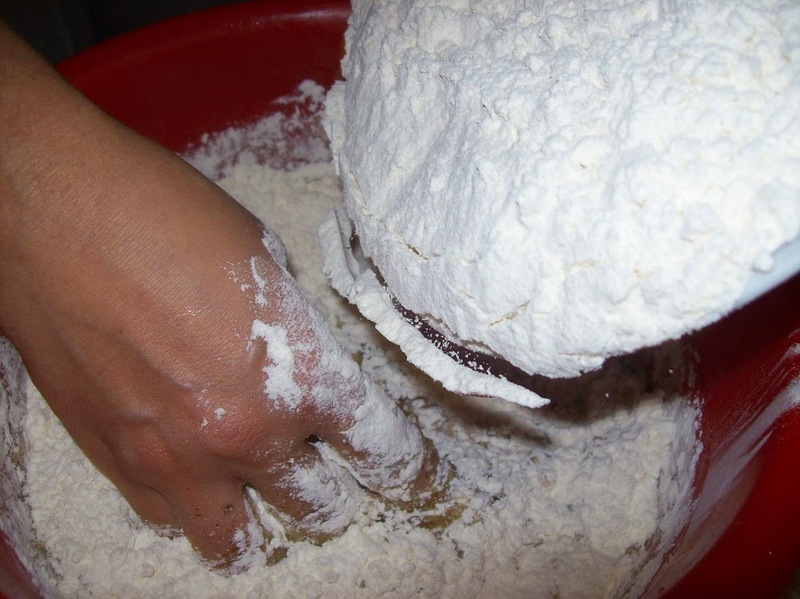 Mix in the flour a little at a time until dough no longer sticks to your fingers. 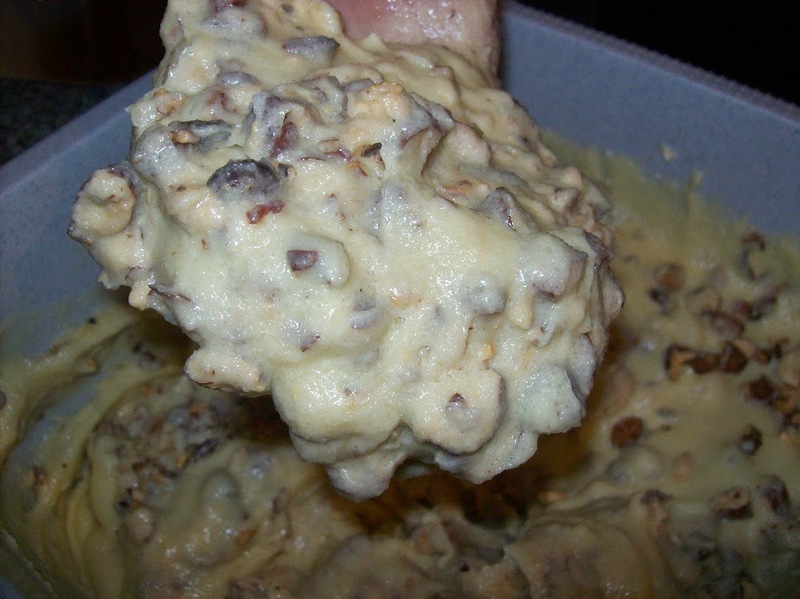 Mix almonds in while mixing in flour. 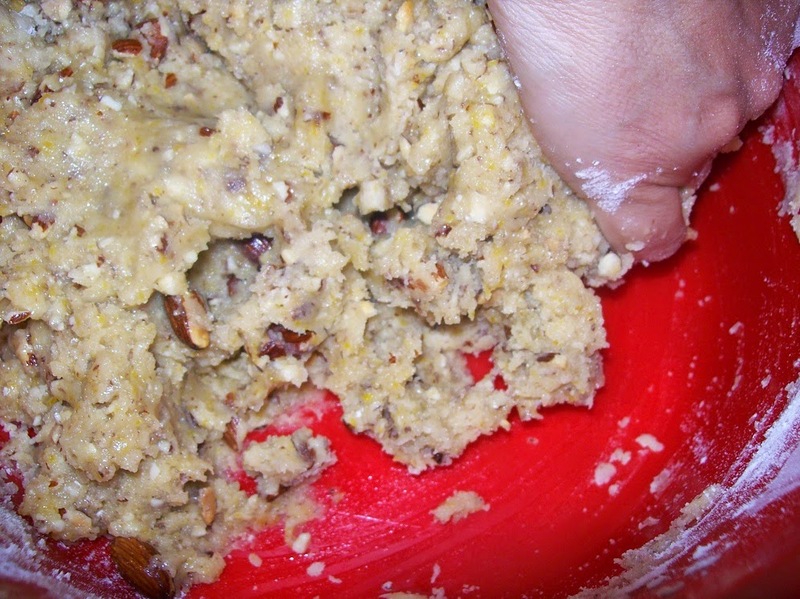 Knead well until dough is smooth and can easily be rolled into balls. 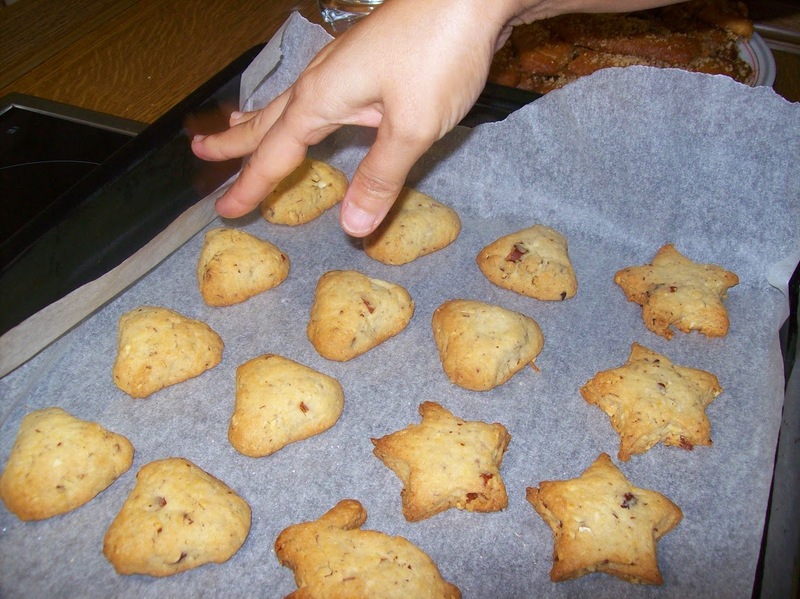 Take small pieces of dough using 1 tablespoon dough per biscuit and shape into balls or small different shape biscuits as crescents, stars etc. 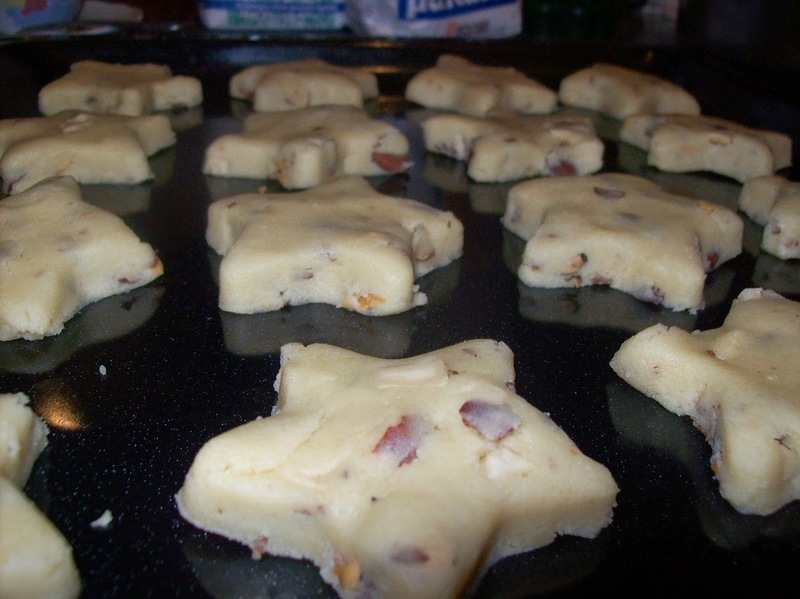 Place on baking trays, allowing room for spreading. 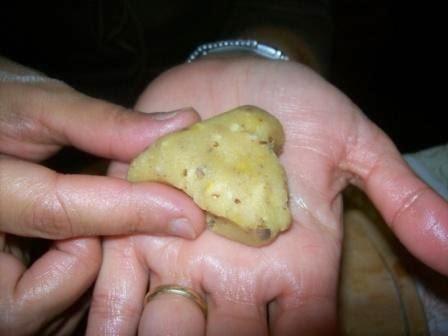 Bake for 20 minutes or until light golden brown. Stand for 5 minutes on trays until firm. While still warm, sprinkle them with rose water. Coat warm biscuits, 1 at a time, in sugar. 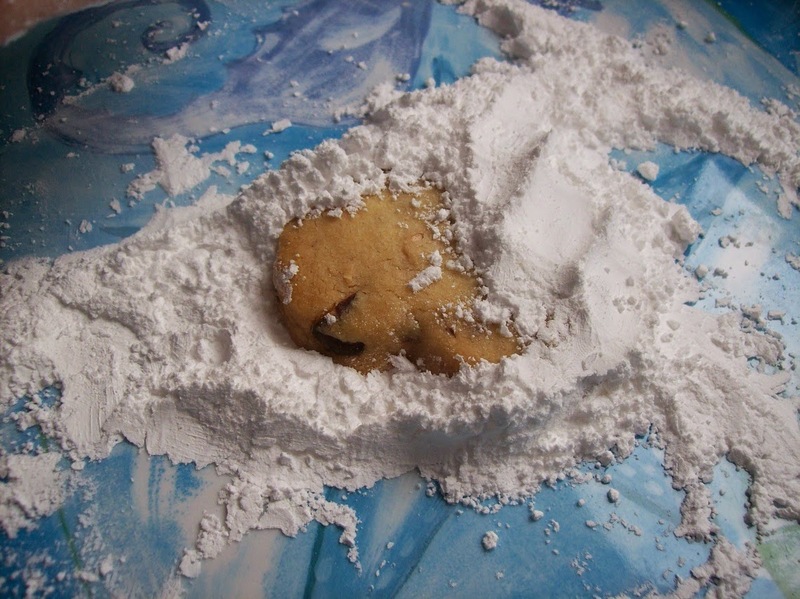 Roll in powder (icing) sugar and set on a tray or plate. 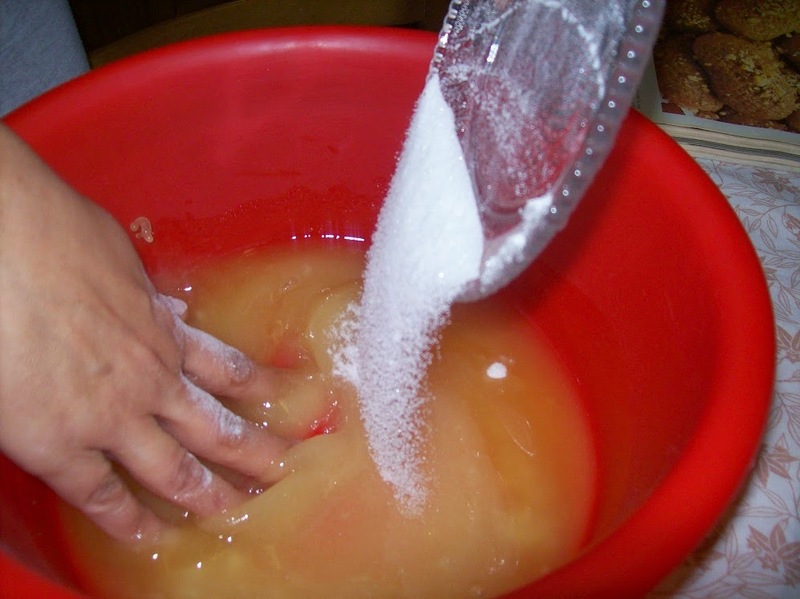 Use the remaining sugar to sift over top until well covered. Αναρτήθηκε από George Portokalakis στις 1:21 π.μ.